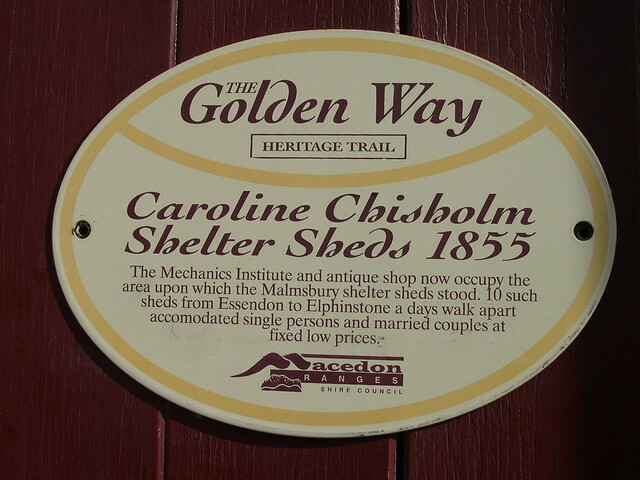 Caroline Chisholm Shelter Sheds 1855. 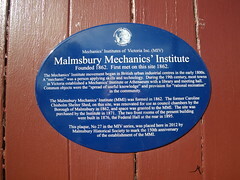 The Mechanics Institute and antique shop now occupy the area upon which the Malmsbury shelter sheds stood. 10 such sheds from Essendon to Elphinstone a days walk apart accomodated single persons and married couples at fixed low prices.